This Cabernet dominant wine showcases the blender’s art. 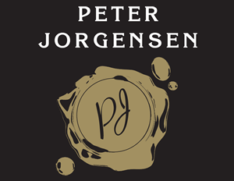 Peter Jorgensen is a master at combining the subtle nuance of different vineyards and bringing them together to deliver a powerful and complex experience. The appearance is deep opaque red with a hint of purple around the rim, typical of rich Cabernet Sauvignon. The bouquet is consistent with the inaugural release from the 2013 vintage. It’s classic McLaren Vale Cabernet, opening with rich dark fruits of plum and blackcurrant. The intense, sweet alcohol gives a lift to the fragrant cassis character followed by more savoury aromas of smoked meats, cedar wood and lightly toasted new French oak. Dark fruit and berries follow onto the initial palate while Shiraz spice fills the middle giving a lovely round, supple texture which softens the full gripping tannins. As the wine warms on the tongue it reveals more complex characters of licorice and dark cocoa chocolate. Toasted oak gives an added dimension to the finish with a lingering, savoury aftertaste. Slow roasted beef dishes with luxurious, rich sauces are perfect with this style of Cabernet Shiraz. It has the flavour and texture to handle big, hearty cuisine. From a thick juicy steak to a grand Beef Wellington this is a wine that can match the occasion. With the benefit of screw cap closure and a cool stable environment this wine will cellar for many years. It will gain complexity over time and develop a mild crust. Breathing for 30 minutes or more before pouring is recommended and decanting is advised as the wine ages.